Add a financial section to your Rainbow planner with the “Financial Mini Kit”. 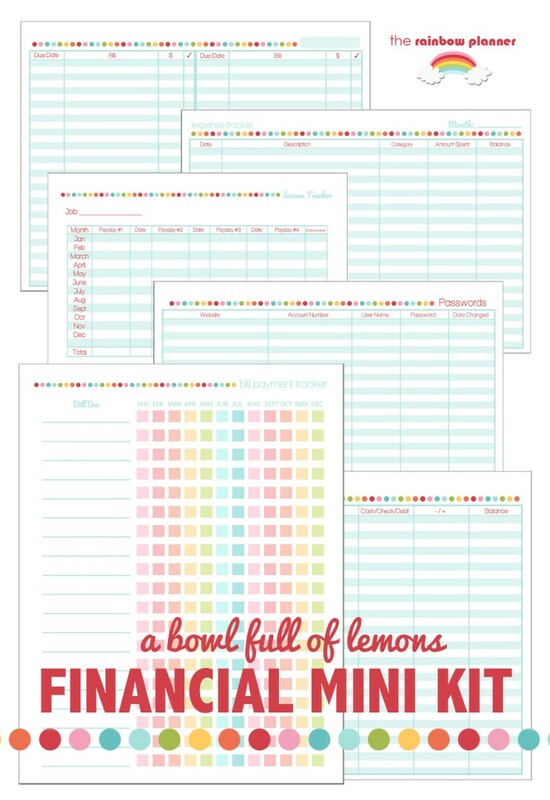 Created to compliment the Budget Binder, the Financial Mini kit has everything you need to refer to your finances while on the go. Digital Download.